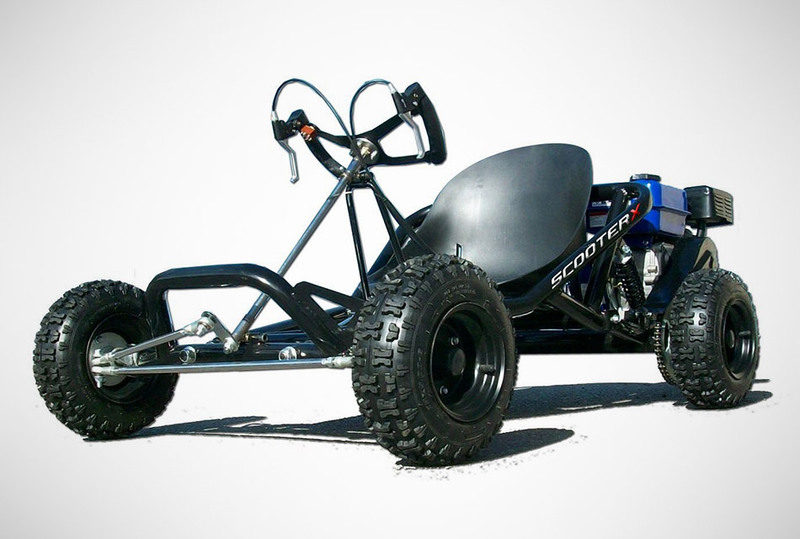 The Go Kart ScooterX with 163cc. 6.5 hp engine has speeds that go up to 40mph, a hand-brake and throttle, four stroke engine with automatic clutch, and, rear-disk brakes. If it's possible to look extremely badass as an adult driving a Go Kart, this is absolutely how it's done. It's not for beginners (awesome) and it's designed for both on-road and light off-road use.